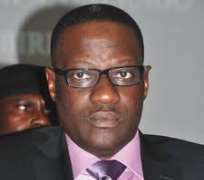 The Kwara State Government has said that N2.4bn has been earmarked for the employment of 8,200 youths in the next one year under its QuickWin Empowerment and Employment scheme. The state governor, Dr. Abdulfatah Ahmed, while presenting letters of employment to about 5,200 youths in the first phase of the programme, said the government employed 10,200 youths in the last three years while additional 3,000 would be employed before the end of the year. According to a statement by the government, N164m has already been spent on the newly created Environmental Corps and the Kwara State Road Traffic Management Agency. The governor said the scheme was not driven by political expediency, but the need to empower youths. He explained that over N640m revolving credit scheme had also been extended to 41,000 small and medium enterprises as part of the government's entrepreneurship development initiative.